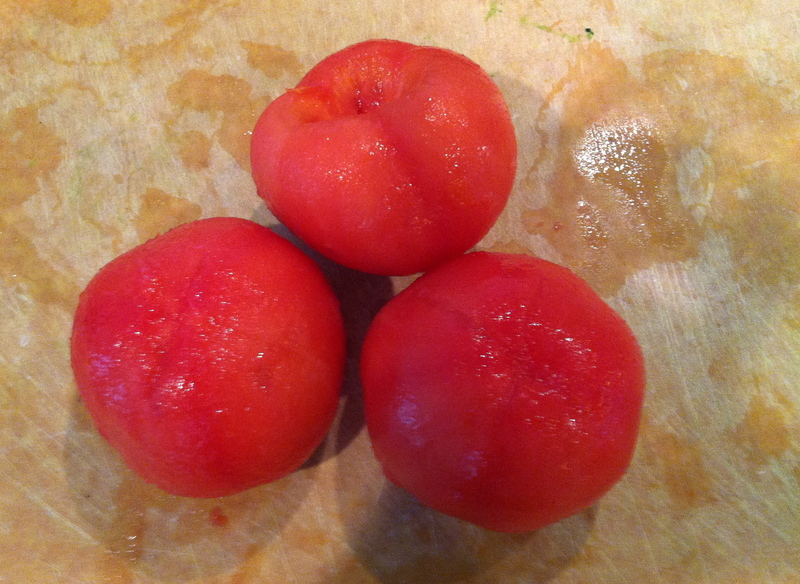 Until recently, using “whole peeled tomatoes” exclusively meant the ones you find in a can. Then recently I decided I was being a wuss and got to the bottom of it. Peeling whole fresh tomatoes couldn’t be easier and makes a huge difference in the flavor department, depending on the recipe. 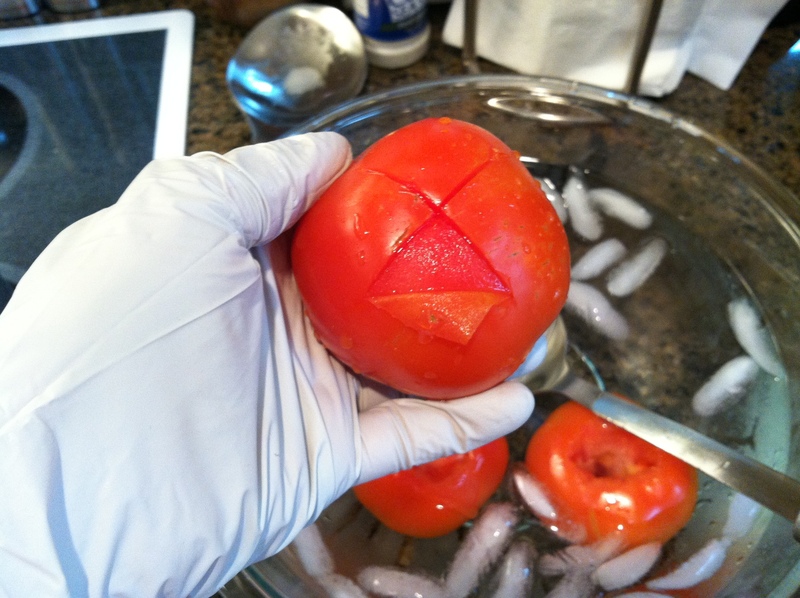 So if a recipe you come across says to peel fresh tomatoes, never fear! This is how you do it. It’s that easy. 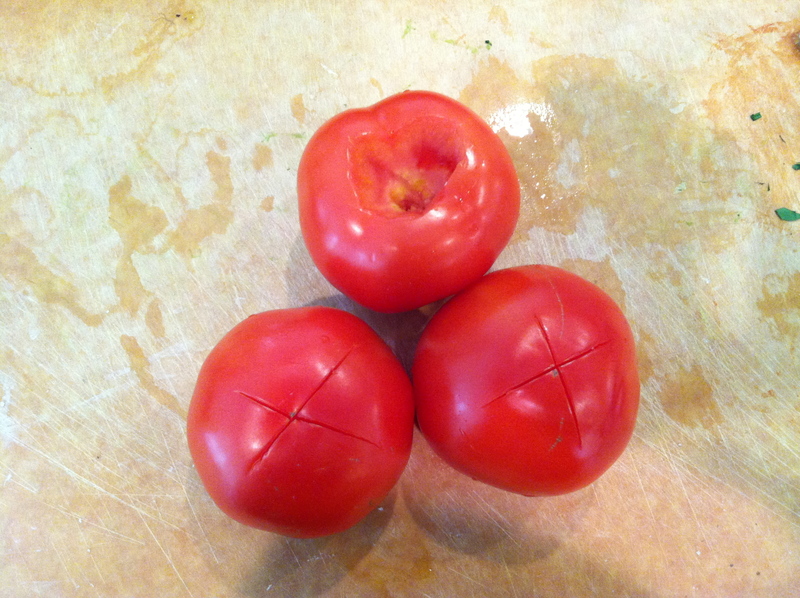 In just a few minutes, you’ve got fully peeled, fresh tomatoes.